Wakeskater Studio Indie Game Development: [SBX:I] Week 1 of Full Time indie development coming to a close. 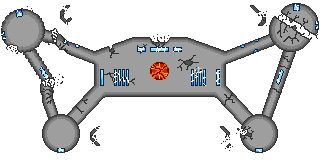 [SBX:I] Week 1 of Full Time indie development coming to a close. Well week 1 of being an indie is coming to a close. It was a slow start this week as I was sick for the first portion and then busy with the 4th of July but overall it was a good start to the week. My wife and I are still waiting on the majority of our stuff to arrive, but we are surviving. We tried to pick up some internet but apparently our place isn't wired properly so it's a no-go until Sun. For now we just mooch off the Vet practice downstairs with it's abysmal internet quality. 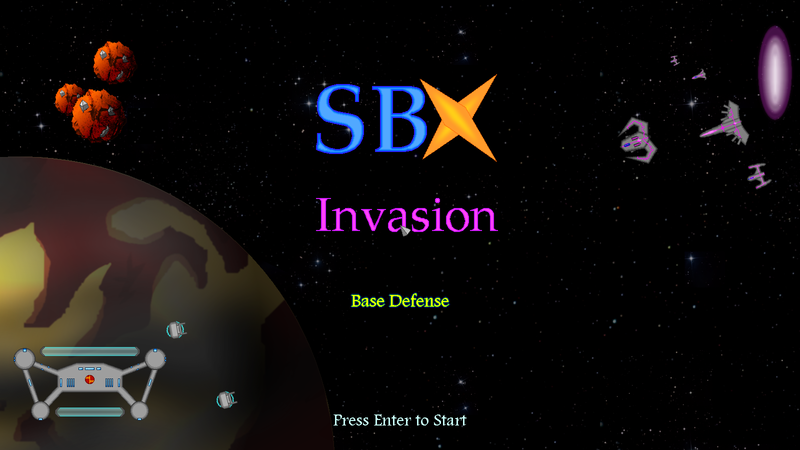 Lots has been done on SBX:Invasion. I've got a few people testing the game out for me, a nice little team of dedicated Alpha testers. I opened it up on Reddit for up to 10 testers to join the Alpha team, but I only have 5 people at the moment. That works out great though as it's not too many to have problems organizing feedback. Options Menu Added - You can now select volume settings and a few varying resolutions. Added Build Panel. You can now click on icons to select buildings as well as use hot-keys. Added a Level Between 1 and 2 that is the new Level 2. It serves as another Tutorial type level. 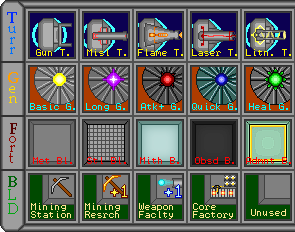 Level Select now starts on farthest level attained. When you lose the level the base blows up and there is a bit more feedback letting you know you lost. Removed some double questions for exiting game and replaced with a pseudo menu. Removed some bugs with Cheat options and Intro screen. Added Fade Text during Tutorials to let you know what to do. 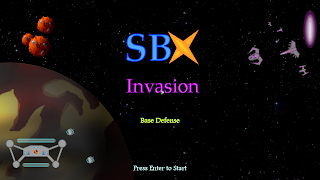 Added multiple start options instead of just Enter at title screen. Fixed Sell/Upgrade Buttons to work when InfoScreen is minimized. Builds now show when you hit a category and stay on screen after building for quicker builds. Escape now cancels the build selection. Increased Difficulty on Level 2, slightly reduced difficulty on Level 5. Screen Shots of new stuff! Things are going well and tomorrow should be a busy week!